The president is recommended to prepare amendments to the constitution on the status of the peninsula. 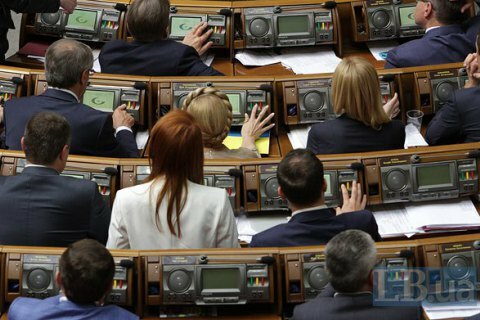 The Ukrainian parliament has approved recommendations to the president, according to which the Constitution of Ukraine should be amended to mention the Crimean Tatar Autonomous Republic instead of the Autonomous Republic of Crimea. Resolution No 4003-a tabled following the parliamentary hearings was supported by 233 MPs. MPs also recommended that the Ukrainian president prepare amendments to the constitution and laws of Ukraine and refer them to parliament with regard to stripping Sevastopol of its special status and recognising Crimean Tatars, Karaims and Krymchaks as indigenous peoples of Ukraine, and amend Article 11 of the constitution respectively.